Five students were inducted into the Miller Grove High School Chapter of the National Honor Society held Friday, October 7th, in the MGHS Library. 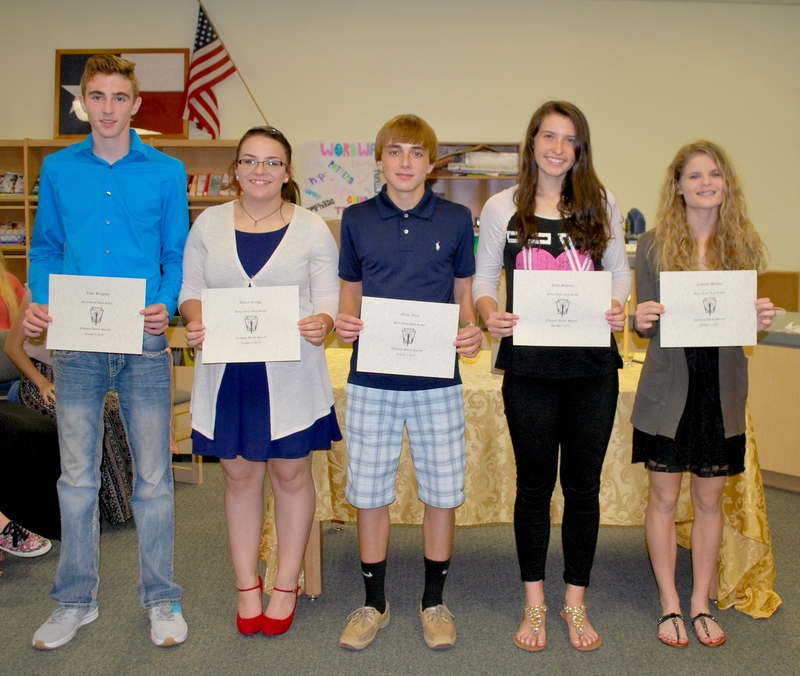 Miller Grove NHS inductees (from left) are: Luke Brignon, Alycen Cregg, Grant Earp, Rosa Schones, and Cassidy Seaney. 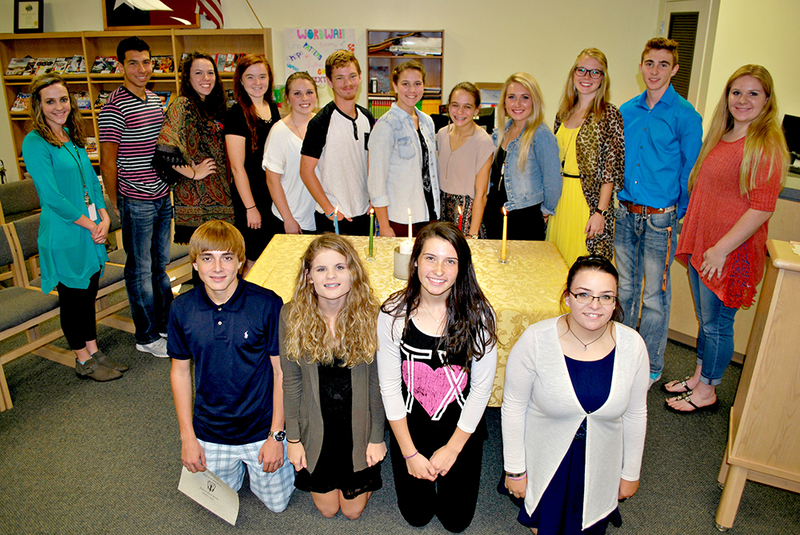 Pictured left to right are: (front) NHS inductees Grant Earp, Cassidy Seaney, Rosa Schones, and Alycen Cregg; (back) NHS Sponsor Samantha Watson, member Alberto Serrano, officers Courtnie Helterbrand, Aleigh Bessonett, Macie Gilbreath, Jacob Pelerose, Kayleigh Lester, Candace Earp, Ashley Purser, and Alexandra Zeigler, inductee Luke Brignon, and member Demi Weatherford.